Dubai is a playground for grown-ups (no matter how grown-up you feel!) and therefore makes for an exciting destination for an excellent summer holiday. Sport plays a big part in Dubai’s calendar, with huge international tournaments happening throughout the year. During June and July there are several golf tournaments, such as the Duty Free Golf Cup. For those who prefer to be partaking rather than watching there are a huge range of sports on offer. From dune buggy riding out in the desert, to playing golf on one of the many golf courses (such as the Dubai Creek, with its distinctive sail-shaped clubhouse which boasts lots of dining options for non-golfers), or taking the plunge and going snorkelling or diving out in the clear gulf waters, everything is covered. Alternatively there is always the option to break from the norm and go skiing in the Mall of the Emirates! Throughout the summer there are also loads of themed events and festivals in the city. The International Dance Festival (June) combines musicians and dancers in a celebration of the arts. It is a hotbed of talent, attracting some of the best young talent and dance companies from around the globe. If hitting the shops is more your thing then the Dubai Summer Surprise is something you will not want to miss. Starting in mid June and running until mid July, over six thousand shops participate in one of the biggest retail events in the world, offering shoppers unmissable bargains across a staggering range of items. One of the cultural highlights of the summer is the Ramadan festival. This year taking place between 20th July and 18th August, lots of events are organised to celebrate this holy month which are open to everyone with an interest in the culture. It is worth bearing in mind the temperatures in Dubai and making sure that you plan some indoor and water-based activities into your day. Between June and September the average temperatures rarely go below 30°C and regularly reach 40°C, with lots of strong sun. Alongside all the indoor shopping and sporting options there are also lots of swimming pools and a couple of water parks. If you prefer to be dry during your water-based activities then there is also the Dubai Aquarium which boasts one of the world’s largest water tanks, over 33,000 animals and a walk-through underwater tunnel – it is a treat for any marine lover. 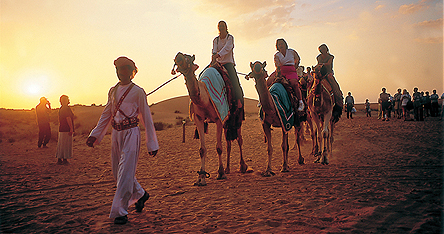 Whatever you choose to do in your Dubai holiday, remember to drink plenty of water and pack the sun cream!